If your home was recently hit by severe weather and you’re in need of roof leak repair services, look to the trusted professionals at Daech & Bauer Roofing. We’re a full-service residential and commercial roofing contractor serving the Collinsville, Illinois area that has successfully completed more than 10,000 projects and counting. We are dedicated to providing outstanding service to our customers, and that commitment is reflected in the fact that we have maintained an A+ rating with the Better Business Bureau for many years. We’re also proud to have been named a Top 100 Roofing Contractor in the U.S. by Roofing Contractor magazine. One of the many reasons that homeowners turn to Daech & Bauer for roof leak repair is our extensive experience with the insurance claim process. 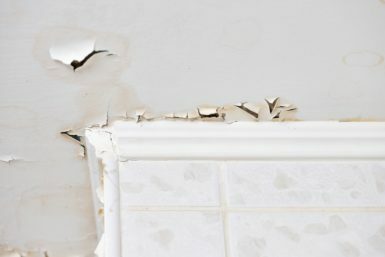 We will help you navigate your claim to ensure that all damage is properly noted and that you receive the compensation needed to fix all damage to your roof. Once your claim is paid, we will ensure that your roof is returned to optimal condition. We will also stand behind our work with a five-year standard labor warranty to give you added peace of mind. If you are interested in learning more about the roof leak repair services we offer to homeowners in the Collinsville, IL area, contact Daech & Bauer Roofing today to schedule a no-obligation consultation. Be sure to ask about the convenient financing options we offer to those who qualify.